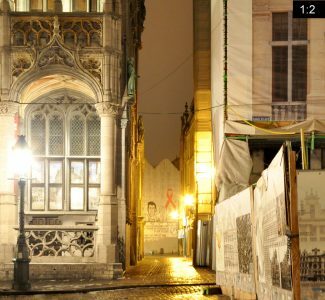 The north side of the Grand Place (dutch Grote Markt) in Belgiums capital Brussels (dutch Brussel, french Bruxelles). 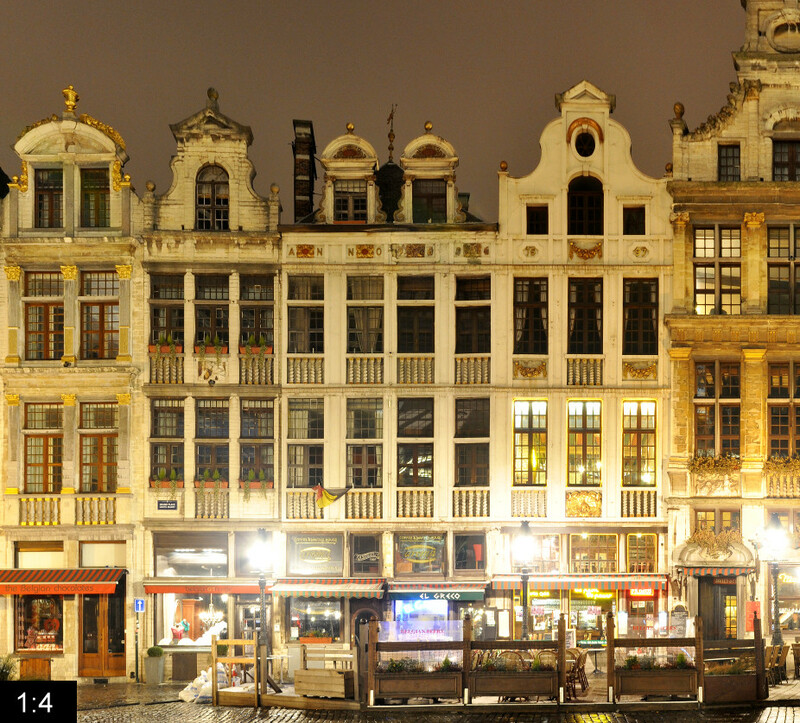 You see the buildings 20-39 from right to left with the impressive Maison du Roi (dutch Broodhuis) in the centre. 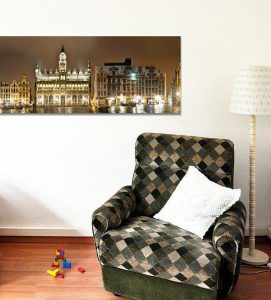 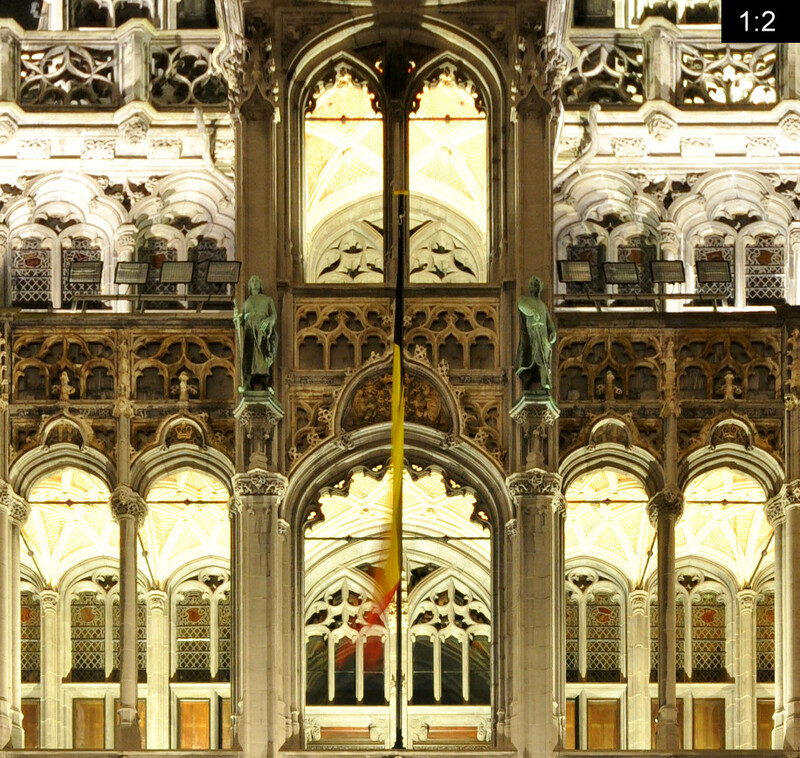 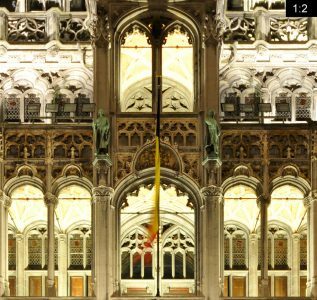 A complete view of the Grand Place/Grote Markt can be found in the archive as well.